Education: BS Consumer Economics with a minor in Marketing, Idaho State University, Pocatello, Idaho. Employment Background: Kathleen has 12 years experience in bank operations and customer service with United Bank of Colorado in Denver and First Security Bank of Idaho. 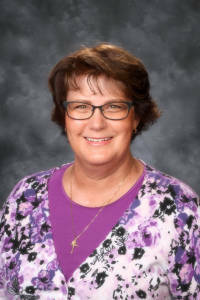 She has worked in the School Office 7 years but has been a parent at St. Mark’s School since 1993. She worked previously at the St. Mark’s Parish office. Hobbies/Interests: Hobbies include cooking, gardening, traveling, ministry and spending time with family.